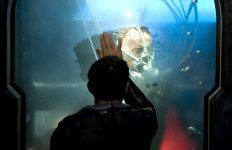 Browse: Home / 2019 / January / Stargate In 2019: What Happens Next? Welcome to 2019! Eight years after Stargate Universe entered that great void between galaxies, and the year following the 2018 Web series Stargate Origins, I’m coming into this year hopeful that it will be a big one for the franchise that we know and love so much. I’ve been watching Stargate since 1998. I have opinions. And I’m a confessed optimist … maybe even to a fault. But I think that, if the Next Big Stargate Thing doesn’t arrive this year, it will be announced and head into production this year. But that all depends on MGM. In the next episode of the GateWorld Podcast Adam and I are going to speculate a bit on what 2019 may bring to the Stargate franchise. It’ll be a little bit of guess work, and a bit of wishing and hoping. Here I’m looking at 2019 through a somewhat different lens. Instead of running down my own wish list for where the franchise might go, I’m going to attempt to marshal an argument for where I think it should go. This year. First: a bit of history about how we got to this moment. 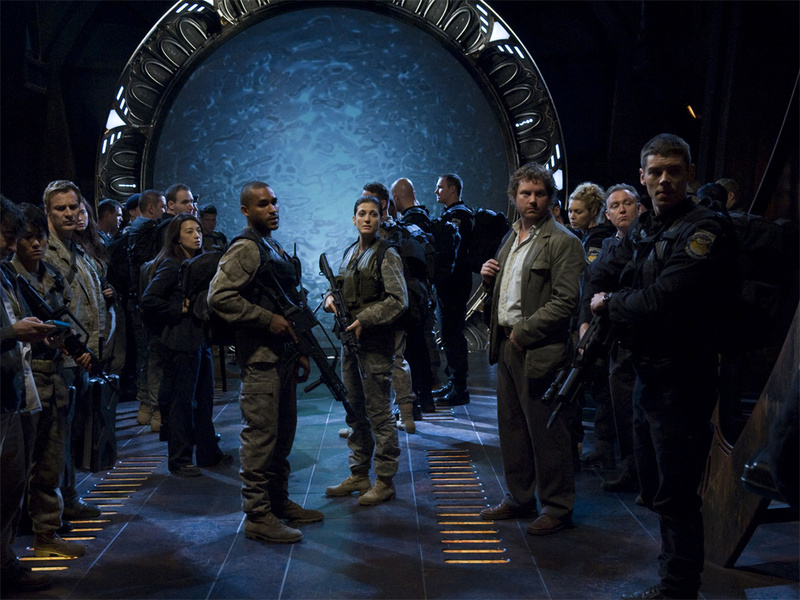 Stargate Universe ended its run prematurely in 2011, with just two seasons. SGU was cancelled. MGM was in the midst of reorganizing following bankruptcy. The MMO-RPG game Stargate Worlds burned to the ground (with an accompanying courtroom spectacle for developer Cheyenne Mountain and its former CEO). 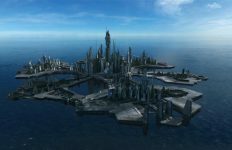 And it was becoming increasingly clear that the third SG-1 movie (to be called Stargate: Revolution) and the first Atlantis movie (Stargate: Extinction had a completed script) just weren’t going to ever get made. The year was 2011, and for Stargate fans things looked grim indeed. 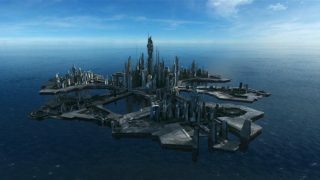 Just a few short years earlier, producers had talked about the franchise standing strong on a four-legged stool: SG-1 movies, Atlantis movies, a cable show pushing the boundaries of storytelling, and a massive, open-world video game. So what happened? 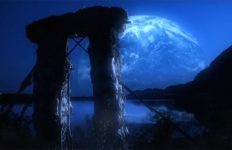 The short version is that Stargate in its various incarnations was a victim of the perfect storm of the global financial downturn, the studio’s bankruptcy, Syfy Channel’s rebranding, and the collapse of the retail DVD market. 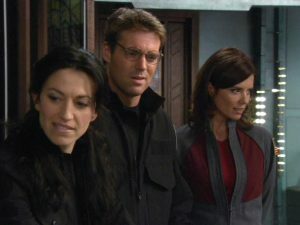 And while it brought new viewers into the Stargate family, the current TV iteration was also controversial among long-time fans. The years that followed the cancellation of Stargate Universe were quiet. I watched the entertainment trade publications daily for hints about what MGM was doing, with new hires and gradual expansions in the TV programming division. I knew that this team was entirely new; pretty much everyone who had worked in MGM television during the Age of Stargate was now gone. So did the new head honchos think of Stargate as a living, breathing brand just waiting for its next moment? Or was Stargate just archival material that would henceforth be consigned to the back pages of the studio’s catalog? The public moved on, of course. Stargate’s licensed merchandise dried up. Cast and crew found other jobs, and the writers went on to create new favorites like Dark Matter (Joseph Mallozzi and Paul Mullie) and Travelers (Brad Wright). As Star Trek was moving ahead with a new feature film series, and Disney was picking up Star Wars (with the promise of plenty of new films and TV shows), Stargate’s future looked uncertain. Ellie Gall took up the role of Catherine Langford in 2018’s Stargate Origins. Representatives from MGM booked a Stargate panel event at San Diego Comic-Con in the summer of 2017 — surely a good sign. When the panel took to the stage, newly-hired brand manager Kieran Dickson announced that the studio had green-lit Stargate Origins. It was going to be a 10-part Web series, a sort of prequel film released in small chunks over the course of several weeks. And it would live on Stargate Command, a new Web site and digital streaming platform devoted to the franchise. It was that vote of confidence in Stargate we had been eager to hear from the newly remade MGM. At GateWorld we’ve been in conversation with the new team at the studio for a couple of years now, and I think it’s fair to say two things about the project that was Stargate Origins. First, it was meant to be something of a humble beginning, giving fans new content on a modest budget and then building from there. It was something new to talk about — a new adventure, new characters, and a deepening of Stargate’s lore. Second: MGM reps repeated throughout 2018 that Origins was a way for the studio to “test the waters,” to measure the current interest in the franchise and the activity of the fan community. Were Stargate fans still around, still hungry for new content? If Syfy cancelled SGU in late 2010 ostensibly over low ratings, would a bigger-budget production be viable today? While the studio never actually said that there will be additional seasons of the Web series, with Origins stories focused on other characters from the Stargate pantheon, it’s no surprise that our imaginations went there. If it is successful they’ll make more of it, right? Catherine Langford’s story is just the first of many (even if they remain low-budget and short-form) … right? And if Stargate Origins is very successful, perhaps MGM will be motivated to spend more money and make something bigger. 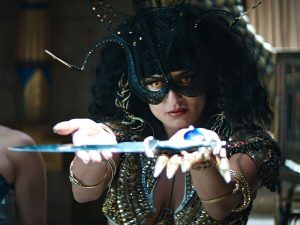 Salome Azizi as the Goa’uld Aset in Stargate Origins. Origins came and went in the winter of 2018. In the spring a fan campaign rallied on Twitter, calling on MGM for a new Stargate series set in the established TV universe. And in June the Origins “feature cut” arrived at retail, allowing more fans to discover the new production. That’s especially important: the number of paying subscribers who signed up for Stargate Command (limited to six countries) isn’t all that good of a measure of global interest in continuing this franchise. It’s tough to know how MGM has judged the relative success of this trial run. But the lack of any further announcement is bound to communicate something to fans. 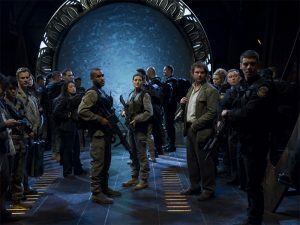 As the Stargate fan community moved from summer to fall, and from fall into the new year, the studio hasn’t made any announcements about further scripted productions. Maybe a full-fledged television series is too much to ask for this quickly. After all, even if the Decision Makers were ready to do it, these things take time to negotiate. But I hoped at least for a second Web series in the meantime. Some small, relatively inexpensive production to keep this new momentum rolling while the bigger plans were in the works. Like I said … I’m an optimist. Now we are coming up on an unsettling marker: On February 14 it will have been a full year since Origins premiered. On March 8, we’ll mark a full year since it concluded. The lack of news is becoming concerning. Of course there are plenty of perfectly understandable reasons why the studio might be staying mum. Sources tell me that conversations are happening behind the scenes. No news might end up being good news, if it turns out that the long delay stems from a bigger project being negotiated with recognizable talent. But the absence of any public-facing information is beginning to make 2019 feel … well, more like 2011. There’s a balancing act here: You don’t want to over-promise and under-deliver. The studio is smart not to make public promises that might not come to pass, or count their chickens before the ink is dry (as the saying goes …). But caution, plus time, can eventually give the impression that Stargate has flamed out again. I’m also a big fan of Trek and of Star Wars, and I’m thrilled that those franchises are (after their own respective hiatuses) now going so strong. While those shows in no way outshine my love of Stargate, as a franchise Stargate could learn a few things from the Big Dogs. With that transparency comes understanding among fans that plans change. Star Trek is currently in the headlines for the news that a fourth Kelvin timeline film is on hold, due to failed salary negotiations with Chris Pine and Chris Hemsworth. We also know that Paramount is talking with legendary director Quentin Tarantino about helming his own (R-rated) Trek film, but it’s questionable whether that one will ever be made. Then there is television. Star Trek: Discovery has done great for attracting subscribers to CBS All Access, and ahead of the show’s second season CBS announced numerous new Trek projects in various stages of development (including a Jean-Luc Picard series starring Patrick Stewart). The future of Trek is a mix of short-form and long-form, live-action and animated. Some of these projects might not come to fruition. Some may change scope, or direction. Creatives might part ways with the studio for various reasons. It’s the industry. But in 2019, Star Trek feels alive. So too Star Wars, which will release Episode IX this year amidst news of more stand-alone films, a Mandalorian live-action television series, the new animated series Star Wars: Resistance, and the return of The Clone Wars — not to mention a whack of in-canon novels and comic books. Star Wars is alive. We can debate The Last Jedi, Solo, and the overall quality of the franchise under Disney (and debating is one things we fans love to do). But there is no shortage of things to talk about. Stargate needs to be in “Franchise Mode.” Whatever that looks like — feature films, modestly budgeted Web shorts, or a Netflix stand-up special starring Garwin Sanford’s Narim at a comedy club in Queens — fans need to know that this is a living, breathing brand. Even if plans fall through, creatives change, or movies get cancelled. No news means no momentum. That means that, when new Stargate is announced, the studio and the fan community alike will in a sense be starting from square one. So here’s where I think we are as the calendar flips to 2019. And here is the case I want to make for the Stargate franchise. Origins offered fans a ray of hope — a spark, which could turn into a flame. But that tiny flame has to be fanned if it’s ever going to get any bigger. The more time that passes without confirmation that Stargate really is back, the more that flame dies in the eyes of the hopeful. The deeper into 2019 we get with no development news — even tentative — the more fans will become convinced that the franchise just isn’t on its way up again. Is Stargate a living franchise? Is it moving forward into new stories, new teams, and new threats to the galaxy? Or is it going to be an artifact of history, a spot on the DVD shelf, an answer to a Jeopardy! question about what Richard Dean Anderson did after MacGyver? It’s up to MGM to decide if Stargate is back, or not. Welcome to 2019. We want to hear what you think! Sound off below, or join the conversation now at GateWorld Forum. Or tweet at us with the hashtag #Stargate2019! “Then there is television. Star Trek: Discovery has done great for attracting subscribers to CBS All Access, and ahead of the show’s second season”….um…no…no it hasn’t at all. Yo MGM, bring us back StarGate! We are SO ready…Do movies, do cross Universe stories! StarGate the Next Generation! You can do this!! Its time…now, I havent seen it but I heard Origins was like a Fanfic production…is this true anyone? I’d really just like to see more gate travel by SG teams. The stories were inventive and offered teaching moments about team work. Even a cartoon with the occasional voice from an SG-1 member would be nice. @T Masaki: You might not like Discovery, but after both season premieres CBS All Access announced massive increases in subscriptions, which the network attributes to the show. This isn’t an evaluation of Discovery — only observing the data that says Trek fans are hungry for a weekly show. Please! Please! Please give us, faithful followers, Stargate again. 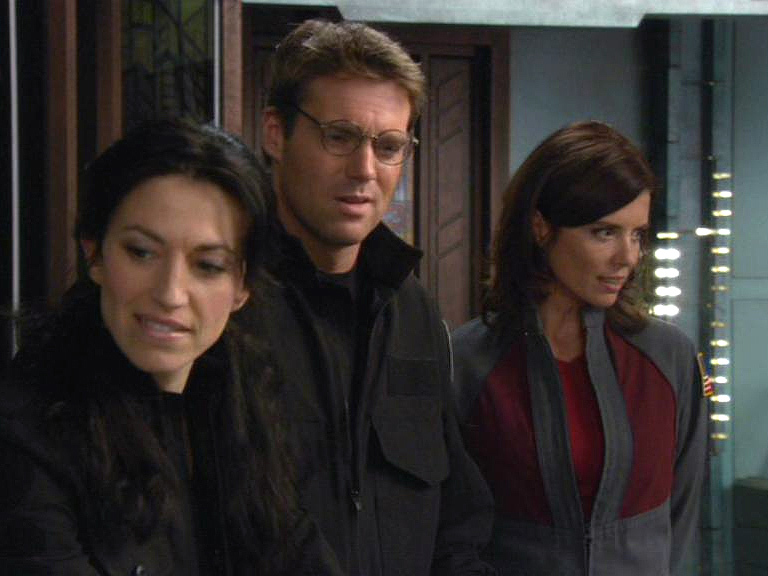 I have watched my Stargates, SG-1 and Atlantis, dvds so many times I can almost quote them. Richard Dean Anderson, Amanda Tapping, Christpher Judge and Michael Shanks were remarkable and will always be my favorites. where’s the stargate origins DVD? This makes my collection incomplete. We need to see something from Destiny!! Maybe a two hour movie twice a year..
I’m a fan of sci-fi but honestly it’s a genre that has seen it’s full share of poorly concieved and or executed shows. Cutting to the point; casting is crucial. If those in charge don’t create an environment where artists and crew get the best then nothing will work from that point on. The chemistry between actors has to be there! Towards the end of SG-1’s run that chemistry was lost and subsequent spin offs never had adequate casting in the first place. Perhaps that’s harsh but you can’t achieve something lasting by trying to make nice with everyone. That goddamn Birds of Prey ad on every freakin’ page has GOT to go. Paul Jenkins: What the heck is Stargate DS9? T Masaki: Yes, it has. That isn’t debatable. I think the real problem is that ORIGINS was horrible. The fans know it and the studio knows it. It had weak writing, poor acting and a non-starter of a plot, and it added nothing whatsoever to the franchise. MGM was hoping Langford’s story would kickstart the franchise’s rebirth, and I’m sure they were just as disappointed by fans’ reaction to the miniseries as fans were by the miniseries’ quality. 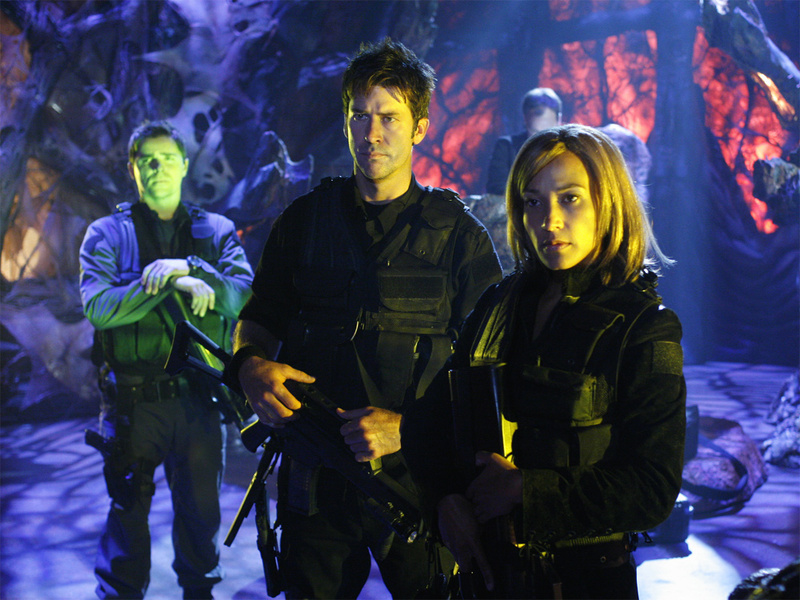 If Stargate is to come back, it has to be something worth watching. ORIGINS failed on pretty much every level–it simply wasn’t worth watching. As an old fan, love your article and share your optimism. I think that the studio have to see the big fanbase this franchise have, and the opportunity of revenue. Also think that there’s a lot of stories to tell of Stargate. Think about all what happened with the ancients, their coming to earth, the war against the wraith, and even the rise of the goa’uld. So yes, I believe that we will watching soon news about starget come back. IF Stargate is to have a future, then the creative decisions need to be slapped out of the grubby hands that have kept them cold and dead so far. I don’t consider Origins to be part of the franchise, frankly i’ve seen better showmanship from a commercial with David Carlyle than … whatever was that. Please give us the ending to SGU! I am such a fan of SG but was really let down when SGU just STOPPED! It left us with no – 0 idea what happened to everyone. Can you at least fill us in with what you had planned to happen?